Apple might have refreshed virtually its whole product portfolio, but when it comes to its internet retail presence, the latest study by Foresee concludes the company slipped three points and user satisfaction dropped to 80/100. This puts it out of the top 5, dominated by companies like Amazon. Interestingly, JC Penney, now run by former Apple executive Ron Johnson also slipped 5 points to 78. Overall, large retailers saw their ratings slide, with examples such as Dell. Foresee measured four big factors to draw conclusions about user satisfaction: fair pricing or at least perception about it, how appealing the merchandise is, how functional the website is, and what’s the actual quality of the content. Time to regroup apple. You've rested long enuff. And, now it's time to 'rest in peace'!! 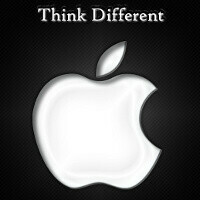 Apple can still manage to survive good given that they undergo some major and crucial changes. Nokia also can resurvive. Why other companies can't. You're fool! Exactly. Anyway, trolls can claim its Night on a sunny day, putting blindfolds over their eyes but truth is, it isn't. No apple please do not "regroup". Please, continue on as you have been so you can continue to lose loyal customers and become less and less relevant, only this time there will be no IBM to bail them out! And you really love that, right? Apple will go down and down, we already see the hype getting less. I give them max 5 years and the iphone will be dead. Apple is behind the market with specs and innovation. People i know are getting rid of their iphones. Why you mau ask........because they are sick paying for small upgrades of the iphone. It was all a Matter of Time. LMAO, the only thing about this that surprises me is it took the iFans THIS long to realize apple has been selling them the same damn thing for years. The only reason Jobs was able to save them the first time was that Bill Gates propped them up and saved them from bankruptcy. Dell have been a piss poor company for years. Check the horror stories at resellerratings. Please don't give me that. Monday earlier this week i have soo many people complaining bout their iPods and Ipads won't activate or charge through itunes and their lines was so busy. couple of them have to return their Apple products because it won't activate through their itunes juke box.